The leaves of a Mitragyna speciosa Korth tree. More commonly known as kratom. 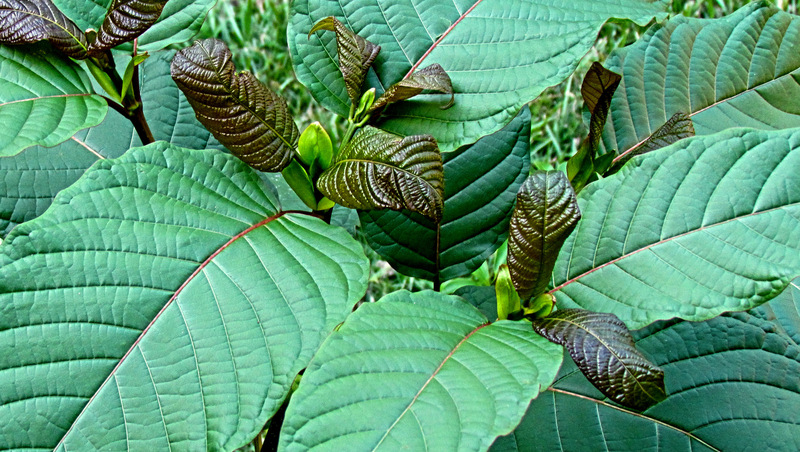 AUSTIN, Texas — The Drug Enforcement Agency has delayed the implementation of its ban on kratom, a plant-based treatment for depression, anxiety, chronic pain and addiction that originated in Southeast Asia but has gained widespread popularity in the United States. Although the DEA has abandoned the emergency scheduling decision announced on Aug. 30, the agency says it still plans to classify kratom as a Schedule I drug, alongside substances like heroin, cocaine, and even marijuana, which the federal government claims have no medical benefits. Kratom users insist the substance is safe and that it often offers more benefits for their health than pharmaceutical drugs. The decision to push back the “unprecedented” measure came on the heels of a wave of popular protests and opposition from within the government. “I think they are starting to realize how much of a negative effect this will have on fully functional, law-abiding Americans,” James, a member of reddit’s popular kratom subreddit, told MintPress News in an email on Tuesday. James, who asked to be referred to only by his first name, citing legal concerns over his use of kratom, told MintPress in a previous interview that consuming the plant helps ease the otherwise intractable chronic pain and depression he experiences due to a back injury. On Sept. 30, Sen. Orrin Hatch, the senior-most Republican in the Senate and chair of the Senate Finance Committee, penned a letter to the DEA urging the agency to delay its plans to allow time for public comment and input from Congress. Hatch’s letter followed a similar missive sent on Sept. 26 to the federal Office of Management and Budget and signed by 50 representatives, who urged the office to use its “statutory authority” to delay the DEA ban. “Thankfully, due to the activists and users and industry associations, it looks like Congress is leaning on the DEA and they’ve delayed the ban,” said John Bush, owner of Brave New Books, an Austin alternative bookstore, in an interview with MintPress on Tuesday. Over 141,000 people signed a White House petition urging a halt to the ban, easily surpassing the threshold of 100,000 signatures which requires a response from the Obama administration. Activists took to Twitter using the #KratomSavesLives hashtag and marched across the country, including in Austin. He also dismissed the notion that the drug should be banned because some people might abuse it, saying personal responsibility needs to come into play. “I think if people think there’s a problem with people abusing kratom, then education and helping one another is the solution, not putting people in a cage,” he added.